This Seaside card is one we made for the July Consultant Look and See, an event for my team. I used “Treasured Friendship” (C1592), . Images are stamped in Archival Black Ink. We used our spray pens filled with water (you can use alcohol) and reinker (a few drops) to create the background. I added a pea-sized drop of white acrylic pearl paint. Mix it up well and you have your own Shimmer Mist and can make it any color to match your CTMH projects!! We colored the images in with our new Shinhan Touch Alcohol Markers (love them). The stamped image is matted on Glacier and Desert Sand and put on the card base that is covered with Background and Texture paper from the Seaside pack. Finishing touches are the Seaside Assortment and our Bling Gold Gems! It’s a fun, easy card with a beautiful sentiment on it. Enjoy creating!! Well, whether we want to happen or not, our kids all leave for their first day of school. To be able to celebrate this big day each year, I created a “First Day of School” picture frame. I was inspired by a variety of pictures I found on Google Pics and on Pinterest. I used our Chalk It Up papers, glitter papers, chalkboard paper (retired), and cardstock to make this. I got the picture frame from Micheal’s with a coupon (highly recommend this as the frame that works best needs to have a good three inches width on the frame and these cost around $50.00 to $60.00). Use an 18″ by 20″ frame. First Day of School Frame in use. Light enough for her to hold easily. I love having a fun way to save these precious memories! Interested in a class? Contact me!! August SOM What a Hoot! The August SOM is “What A Hoot” . It’s really cute! I love this cute little treat bag featured in the Annual Inspirations. Treat Bag cut from Artiste Cricut Cartridge. You can use this owl for Halloween if you want but it’s really much more versatile! You can use it for birthdays or any other celebration you’d like. You can seen the generic party hat and other embellishments you can use to create cards, layouts, boxes, and more to celebrate relationship in your live. You can purchase the stamp set for $17.95 or $5.00 with a $50.00 purchase. To make the treat bags, use Cricut Artiste. Download FREE Annual Inspirations NOW! The Annual Inspirations for FREE through a downloadable PDF!! How exciting is this??! I love that you can now store a copy forever if you want without taking up space on the bookshelf. In addition, there is a link for the recipes (what was used) to make the different art in the Annual Expressions. I find this helpful in ensuring I have the right materials on hand to create. A downloadable product index is also available. Yeah!! Of course, you can still purchase the Annual Inspirations for $6.00 from my site and get $6.00 of free product (your choice) when you place your order of $50.00 or more through me. Enjoy this beautiful new Idea Book!! For September, one of the paper packs I’m featuring for WOTG is Wanderful. The paper is for travel/vacations and with everyone home from summer vacations, we’ll all have pictures to scrapbook!! These pages are not the WOTG but pages that feature using Wanderful Picture My Life Cards on layouts! On this layout, I used 3 Picture My Life Cards to do both accenting and journalling. Left page has Picture My Life card as a journalling block; Right page has two Picture My Life cards – one for journalling and one as an accent/embellishment. Picture My Life is a very versatile product which you can use as a stand alone way to scrapbook and use the extras in classic scrapbooking! This month, when you order a PML kit, you get a set of Memory Protectors for $3.00!! Reminder that Open House is TOMORROW!! 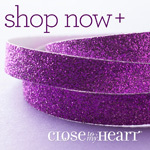 Come see the new products for Close To My Heart, and crop! Crop Spots are limited to RSVP and seating. Croppers – please bring snack food to share! Crop space is limited to 3 feet/sharing a 6′ table. Pack light/specific projects. Cricut/cartridges, stamps, inks, Cuttlebug, dry embossing folders, and more here for your use, FREE. Please bring a 12″ cutting mat to use with the Cricut. 3 Door Prizes and 1 Grand Prize: You do not have to be present to win!! Grand prize is valued at over $50.00 retail!! Drawings for the prizes will happen on August 18 to give our long distance participants time to make their orders or you to make your orders after you pick from your dream list. Long Distant? Can’t make it??? No worries!!! – View the Idea Book online! You can order your own copy via my website. Once you place a $50.00 order, you’ll get a $6.00 of free product for purchasing the book via my website on your next order. You will get a ticket for ordering the Idea Book online if ordered on or before August 16th, 2014!!! – Get Tickets for the Door Prizes!!! See above for how many tickets you can collect this way!! **Orders must be done on or before August 18, 2014. When you order online, add yourself to the Open House Order. You have 2 days to place the order after the Open House/Crop. Please be aware that Sarah Grace (6 yrs) will be here along with our pets. Just a heads up for anyone with allergies. I’ve committed myself to blogging on a regular basis and decided that Thursdays would be great for “Tips on Thursdays”. I’ll share a stamping/creating tip each Thursday for you to use. I love to have matching papers when I’m working on a layout. Sometimes, though, the perfect paper can’t be found. What’s a girl to do? Make it, of course! With Close to My Heart Acrlix Stamps, it’s as easy as can be!! I took the Wanderful WOTG stamp set (lovely by the way) and created a collage stamp by putting several of the stamps on the block. If you are new to Close to My Heart and my blog, welcome and let me explain that our wonderful stamps are clear so you can see what you are doing when you stamp. There are 5 acrlix stamps on this block. Another tip – our blocks are the BEST – they are shaped like a wood stamp so they feel great in your hand when you are stamping. The Crystal Blue paper under the title is randomly stamped with the above block of stamps. Close up of the pattern on the paper. In minutes, I’d created a great background and texture paper for my layout which added depth and style to another wise bland piece of paper. This is not a new technique but one I sometimes forget that I have in my back pocket. Best of all, I was using supplies I already had so it cost me nothing!! Hope you enjoyed your “Tips on Thursday”. Picture My Life ~ Laughing Lola/Scaredy Cat papers! I had some extra cards from my Picture My Life (PML) Laughing Lola Kit (Z1944). I don’t like to waste product so I used them in a different way – I added the cards to my scrapbook layouts! I used them to create titles, thus less work for me! This layout is using our New Scaredy Cat papers (X7185B) which I’ll feature in September for a workshop. I had some extra PML cards from Laughing Lola (Z1944). “LOVELY” is a 4″x6″ Picture My Life card. “Today” and “Life is Good” are two of the 3″x4″ Picture My Life cards. A few of our purple Glitter Gems (Z1936) for accents. I love that the Glitter Gems have adhesive on them. I made the faux stiching around the edges of the layouts with our Marvy Uchida LePen Journaling Pen (Z1979). I added Gypsy Cardstock (X5757), one of the compliment colors for Laughing Lola, to the Scaredy Cat Paper Pack (X7185B). Even though Scaredy Cat is a Halloween paper pack, you’d never know from these layouts. Another great use for Picture My Life Cards. If you love the family pictures, my friend Allison, took them! She does a great job and you can check her work on on Memories by Allison! I’m loving CTMH’s Special this month!! I ordered in two Picture My Life Kits ( PML) this month and got 2 sets of Memory Protectors for $3.00 each! I choose Wanderful and Surf’s Up. I was able to scrapbook 100 pictures in 3 hours!! Yipee!! While I’ll still do some paper layouts for our albums of the special pictures and digital layouts for our families and friends, I loved the option of being able to scrapbook all of the pictures without having to create a number of layouts or having to choose between pictures!! More to come on all month on how I’m using PML cards in my scrapbooking and card making!! It’s great to just use your pictures to create the full page, with no cards. Easy! Using some of the cards. I’ll go back and add journaling in. I loved using all the pictures. Even though the top two pictures look identical, they are not. I played a game with SG on finding the differences! Again, using all the pictures with various cards. Easy Peasy! Waiting on the next order of pictures! While I won’t use PML for all my scrapbooking, I definitely will be using it for larger events where I want to have all the pictures to view! Open House and Free Crop! Come, see the New Products for Close To My Heart, and crop! – RSVP to the event anyway! I’ll mail you a project, Free!! !